Inspired by Thomas’s message, we are ready to propose a new travel! Go from Florence to Rome with no other propelling force but our legs, no other means of transport but our bike. So wonderful, but not so easy. No one denies you need to be in good shape, but who arrived at the end (maybe leaving from Canterbury!) assure that the main ingredients are perseverance and curiosity. And – why not? – the possibility of a little revenge on those athletic friends that keep posting photos on facebook from incredible places. A really charming feature of this journey is the possibility of going through the Via Francigena (a really ancient pilgrim road) for a long stretch. Today it’s not easy empathize with the reasons that pushed these persons, and yet we keep going through the same roads – just think about the Camino de Santiago. Why? A song of Enya says: “Pilgrim, it’s a long way / to find out who you are”. The 8 legs that we suggest have been chosen to fully exploit the possibilities of visiting the art cities and riding in the green. Obviously you can make different choices, the important thing is create an itinerary that is custom-made for yourself and allows you to take your time. On the website bicilalia.org you can find the itinerary “Ciclopista del Sole” that starts from Brennero. The way which goes through Modena describes a route that touches Florence and Rome. If you click on the map at the top of the page, you can obtain useful information about the types of routes that link the legs. Our last suggestion is to choose carefully the leaving period, avoiding the Summer months. Indeed some parts are really sun-exposed and you may not find water until the end of the leg. Monte Sole bike group, La via Francigena in mountain bike, Edizioni Pendragon, 2006. Once we exited from Florence, we face the first rise that ends in Montespertoli. There, a long descend sunk in the greenery allows us to catch our breath. Then we ride along the last stretch of slope from Certaldo Alto to the hill where San Gimignano rises up. 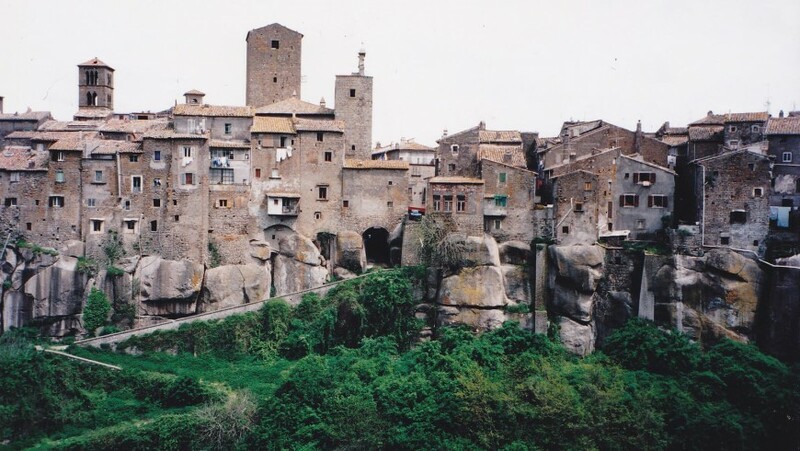 Declared world heritage site by the Unesco, this medieval village overlooks the high Val d’Elsa. It’s famous for its towers and fascinating for its history. 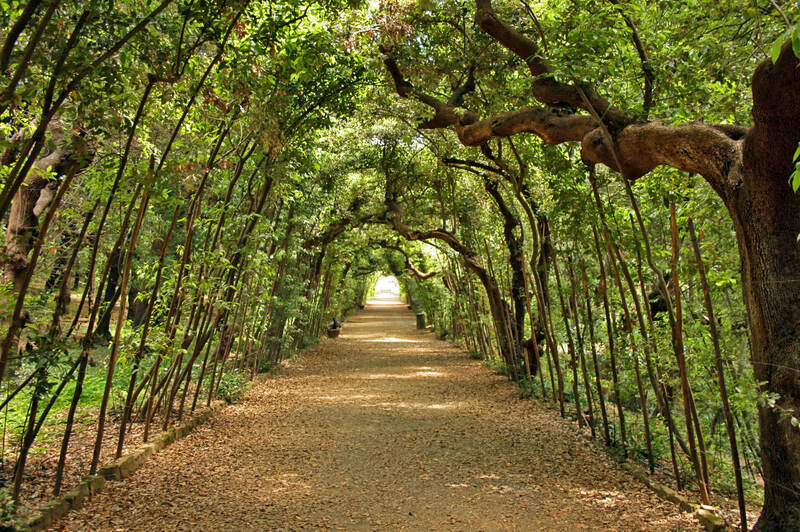 Our suggestion: before say goodbye to Florence, take a walk inside the Giardini di Boboli! At last on the via Francigena, we ride to Molino d’Aiano and then we pass Strove. We go ahead until Monteriggioni. In the XXXI canticle of the Divina Commedia, Dante Alighieri compared the towers of the its circle of walls to the giants stuck in the rocks from the waist down. We proceed in the wood walking until the castle of Villa and finally we reach the reclaimed riverbed of Pian del Lago. 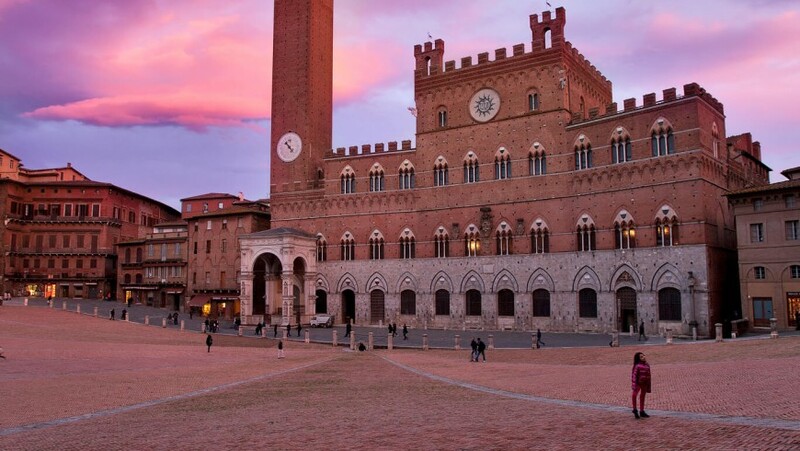 As the ancient pilgrims, we will enter in Siena through Porta Camollia. Our suggestion: go biking on the cycling lane on the layout of the old railway. It links Poggibonsi and Colle Val d’Elsa. If you are looking for an eco-friendly stay in Siena with an amazing views on the city roofs, try the eco B&B Paradiso n. 4. 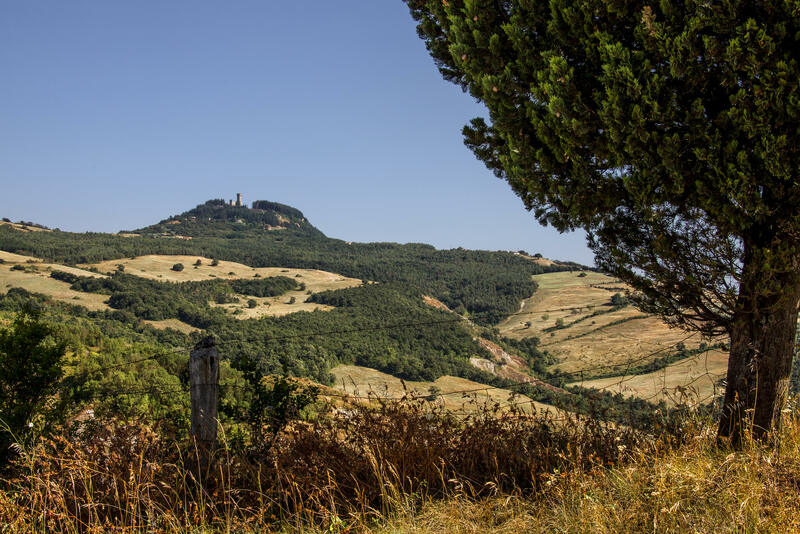 This challenging and wonderful leg will lead us in the heart of the natural park of the Val d’Orcia. Gone out from Siena, we pass across the Crete Senesi and arrive in Murlo, famous for the Etruscan museum. 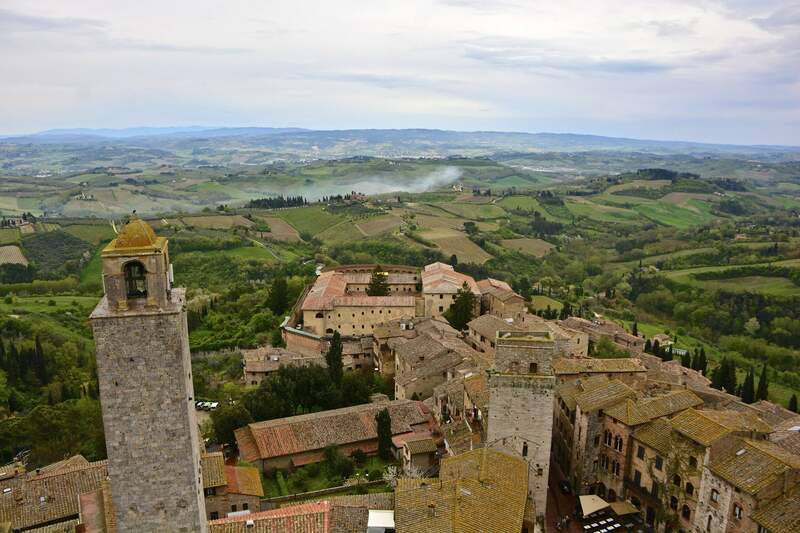 From there we continue until Buonconvento, where a strong rise to Montalcino is waiting for us. 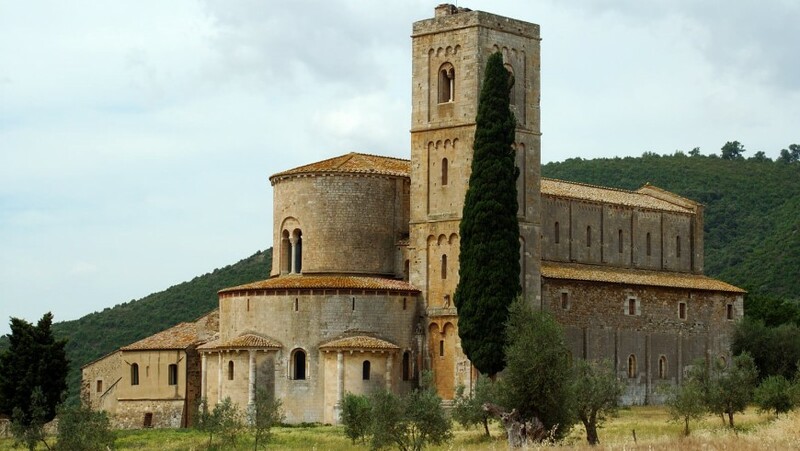 Our suggestion: visit the abbey of Sant’Antimo, a really peaceful place, known internationally for the concert of Gregorian chant. It’s a few kilometres from Montalcino and it’s worth a detour! These are the words used by Luigi Veronelli to describe wine. It’s difficult not agree with him when we cross these lands dried by the sun, coloured by grapevines and cypresses. In the first 13 km, we ride through the SP14 and the SR2 towards San Quirico D’Orcia, where we will join the via Francigena. Out of the village, a rise starts and leads us to Bagno Vignoni. On the background there are the massif of the Monte Amiata and the citadel of Radicofani, still far. We proceed without meeting particular difficulties until Ricorso, where the last strong stretch lead us to our destination. Our suggestion: taste the Vino Nobile of Montepulciano (a few kilometres from Montalcino) is really unmissable, all the more biological! Our day starts in the best way: a beautiful stretch downhill along the way on the ancient layour of via Cassia, surrounded by hills. In Ponte Rigo we go on to Proceno, on a calm route. An other short slope precedes the rise to Acquapendente. There is possible to visit the Church of Santo Sepolcro. Again on the saddle, after some kilometres we start to glimpse the lake of Bolsena. From San Lorenzo Nuovo a dirt track goes down in an ancient crater and leads us to Bolsena through meadows and olive tree groves. 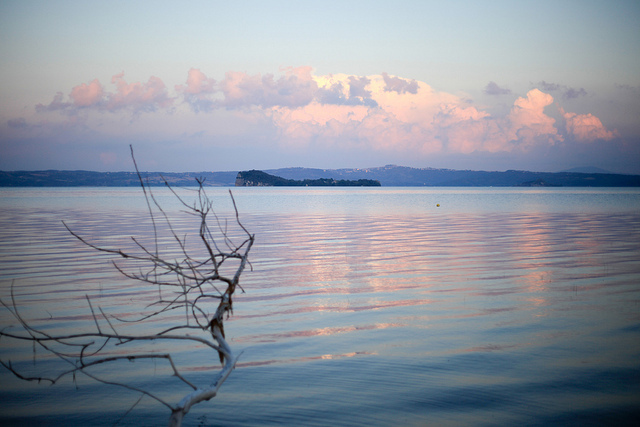 Our suggestion: refresh yourself in the lake of Bolsena! Uncontaminated and suitable for swimming, it’s the biggest volcanic lake in Europe. We restart to ride on the ancient layout of via Cassia, sunk in the woods that sometimes let glimpse the lake. Arrived in Montefiascone, we get in the Tower of Pilgrim. From there we see a 360 degree view; that’s a so big satisfaction because we have conquered this panorama by our legs. From Montefiascone, we arrived in Vitorchiano on regional and provincial routes (SR2, SS71, SR2, SP17, SP5, SP22). 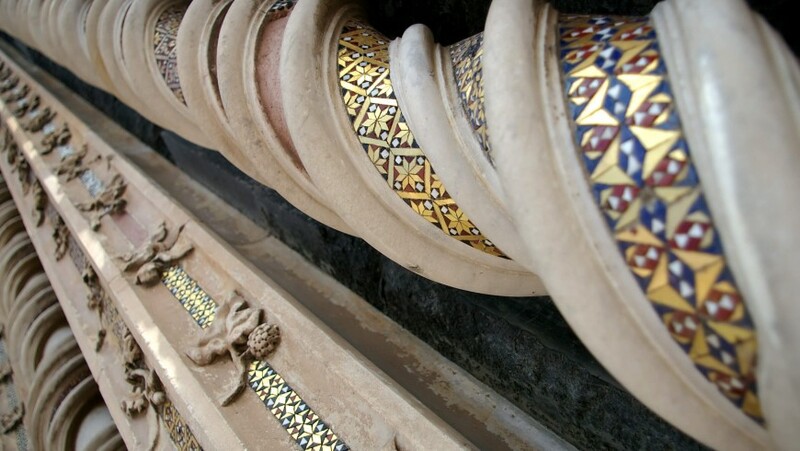 Our suggestion: visit the Duomo of Orvieto (22 km from Bolsena). 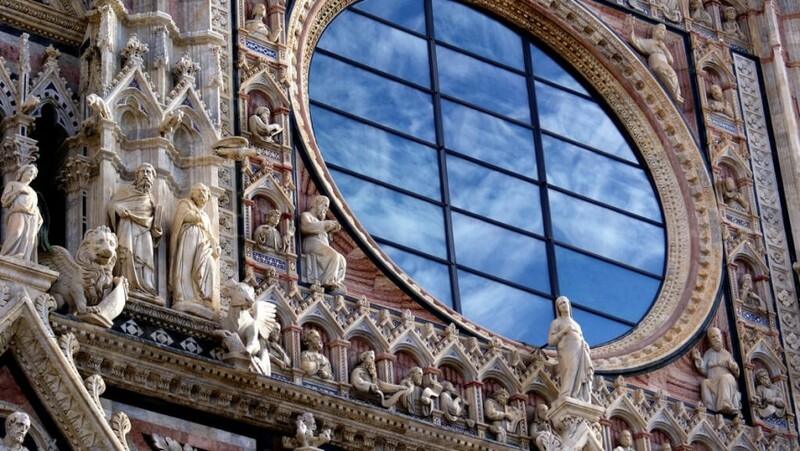 You will stare open-mouthed at this masterpiece of Gothic architecture, imposing and rafined. A green stay in Orvieto? 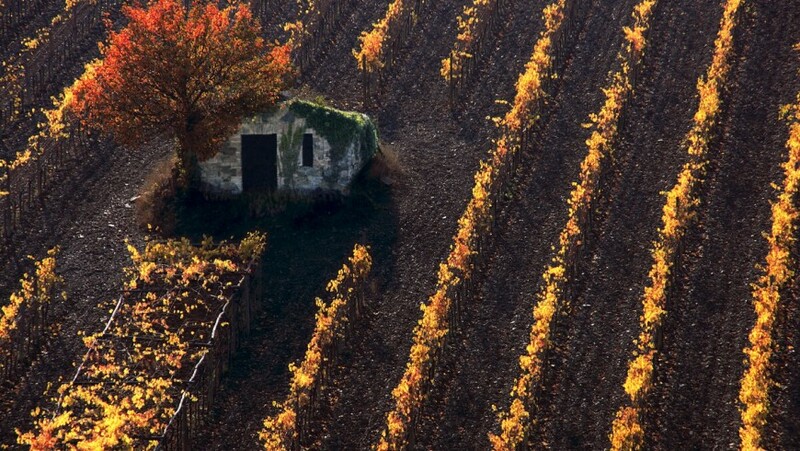 Discover the oraganic farmhouse Fattoria Mafalda! For the last leg, we propose a last glorious bike-riding from Vitorchiano to Sutri (about 53 km). 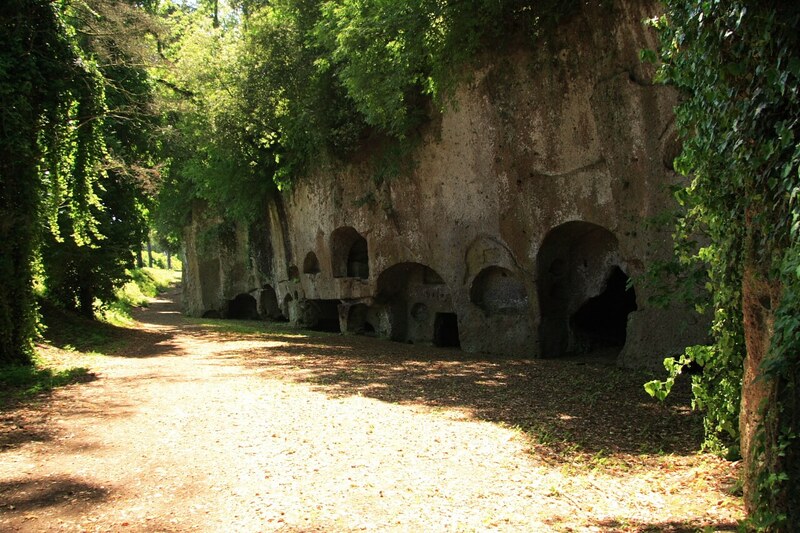 In Sutri, we visit the Etruscan necropolis and the Roman amphitheatre, two suggestive archaeological sites, just a little taste of what the capital sets aside for us. Instead we suggest to take a train from Anguillara to Rome: enter in Rome by bike is not impossible, but we would be obliged to ride along really traffic and dangerous roads. On the Trenitalia website you can find information about how to transport your bike by train. Are you looking for valiant travel companions? Do you want to meet more persons as possible and join to the slow-travel philosophy? Here is El Poderoso: not just a rickshaw, but a big occasion of social relations! Do you remain enchanted? We do! We hope to have given you interesting ideas to project long adventure or short breaks…. Share with us your experiences, suggestions, impressions, feelings… collected along this beautiful itinerary! Because, as you had understood, go through these routes doesn’t mean simply being trained enough to go from a point A to a point B. It means really much more: who goes through them, he keeps them alive. Who talks about them, he spreads an historical memory. Who is open to meet other people and face unexpected situations, he finds its right inner meaning. This entry was posted in journeys, travel stories and tagged B&B Paradiso n.4, bike, Bolsena Lake, ciclotourism, Fattoria Mafalda, Florence, Italy, Montalcino, orvieto, Rome, San Gimignano, Siena, Val d'Orcia, via francigena. Bookmark the permalink.